D1 Business Park Senec lies in the center of the largest logistics and commercial zone in Central and Eastern Europe, which includes more than 900,000 m2 of space, 70+ international and local companies with more than 5,000 employees. D1 Business Park is located only 25 minutes from the center of Bratislava on the exit from the D1 motorway to Senec. An excellent location right in the center of the largest industrial zone in Central and Eastern Europe allows quick reach of the entire region of Western Slovakia. We offer nearly 25,000 m2 of business - commercial and storage space for rent in the planned 3 buildings on 4ha. Possibility to operate warehouse, showrooms and offices in one area with parking right before operation. The construction of the first object (A) of the D1 Business Park is scheduled for the second half of 2019 and will provide nearly 7,000 m2 of storage and sales areas with offices up to 2,000 square meters. D1 Center is located close to the planned construction, provides many useful services for tenants (f.i. restaurant, supermarket or event spaces) as well as existing business premises with flexible rentable units from 120 m2. D1 Expo event space with capacity up to 500 prs. Service center – restaurant, supermarket, drugstore etc. Do you want to know the price of renting a warehouse or office? Please, message us. IPEC Group has been a leading real estate developer in Slovakia and CEE since 1993. To date, IPEC Group has carried out various types of projects with a total usable surface of more than 750.000 m2 and a value exceeding 500.000.000 €. IPEC Group focuses primarily on business and logistics construction. However, IPEC has been also engaged in the building of residential, retail and office properties. We continue to pioneer new and creative solutions in bringing value to our customers. IPEC is the founder and major developer of D1 Park. IPEC recognized the potential of the location and was able to contract the largest European warehouse developer Parkridge UK as first client. The location attracted more and more internationally renowned brands and very soon IPEC was not only able to build facilities for international companies like Prologis, Goodman, Lagermax, Gebrüder Weiss, Scania, Komatsu among others, but was also the author and owner of the needed infrastructure including the road network, gas, water and savage. IPEC’s goal to build up a business-logistics park of international quality in Slovakia, fully worked out. 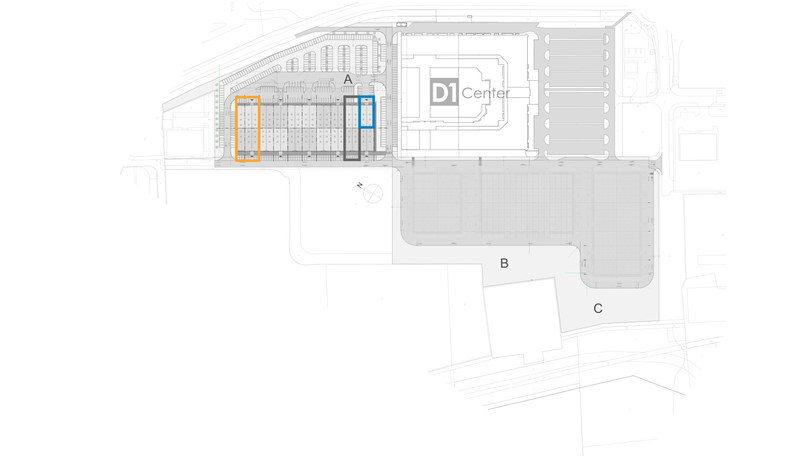 The vision of area development proceed with new D1 Center and D1 Business Park projects.